Love the collage work of Chris Ferebee so much. Checked it out after a long time, prompted by his email. 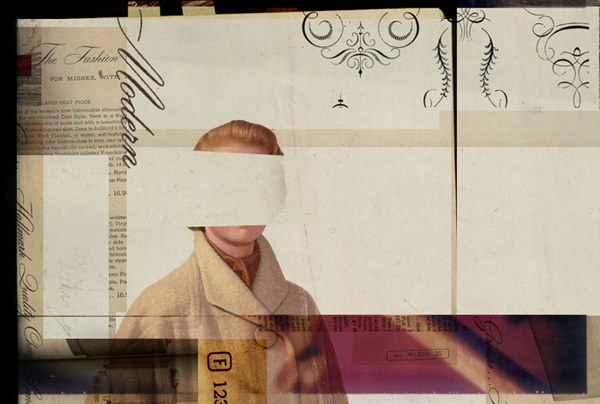 Typographical elements + vintage photography + arresting composition = truly stunning pieces. The color quality is so gorgeous. Love this stuff. Some limited editions of his collages are available in his shop. New Relic, 2007. Digital pigment print, edition of 25. Contact artist for pricing details. Wow, those collages are gorgeous. I love how he juxtaposes, in some of them, very precise and scientific anatomical and botanical images with dreamier fashion photography. I’m tempted to e-mail him to inquire over pricing, but I’m afraid it’s way out of my range.